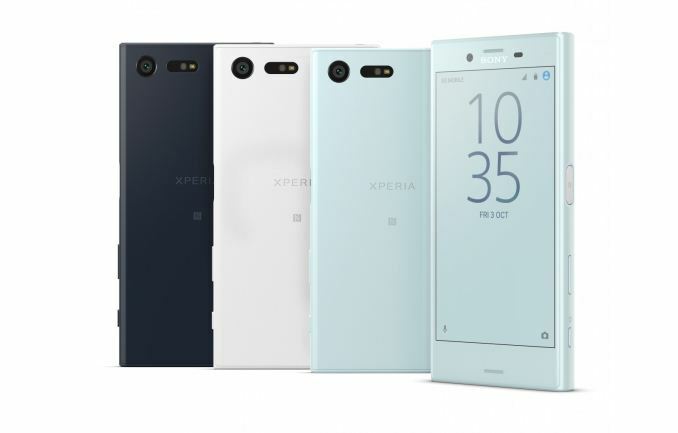 Today at IFA 2016 Sony announced two new phones to flesh out the Xperia X lineup, namely the Xperia XZ and Xperia X Compact. Starting with the Xperia XZ, it looks like Sony is still sticking with their 6-month refresh cycle for flagship devices as this looks to succeed the Xperia X Performance with a 5.2 inch display, 5-axis video stabilization, improved stereo microphones, and a USB-C port for improved usability. However the SoC remains the Snapdragon 820 similar to the Note7. Rear Camera 23 MP, 1/2.3” Exmor RS, Laser AF, PDAF 23 MP, 1/2.3” Exmor RS, Laser AF, PDAF 23MP w/ EIS, f/2.0, 1.12µm, 1/2.3"
In addition to these changes, the Xperia XZ gains laser auto-focus to improve the speed with which it acquires focus in low light as well as an RGBC IR sensor which is used to set white balance. Laser AF is nothing new at this point but it is new to high-end Xperia phones, and similar systems to the RGBC IR sensor have been seen in the Galaxy S7 and LG G5 to enable more accurate white balance settings. Sony is marketing the combination of PDAF on their Exmor RS 23MP sensor, laser AF, and the RGBC IR sensor as their “triple image sensing technology”. The Xperia XZ also has a 13MP front-facing camera with 22mm equivalent focal length and a max sensitivity of 6400 ISO which is said to improve the quality but I’m a bit skeptical here. The press release also mentions the addition of manual focus and shutter speed which is nice to have as Sony has been relatively late to the party when it comes to implementing these kinds of features. For reference, HTC has done this since the One M8, Samsung since the Galaxy Note5, Apple since the iPhone 6 with third party apps, and LG since the G4. As far as design goes, the Xperia XZ has an ALKALEIDO metal back cover, though Sony's photos don't do a great job highlighting this. The phone is still water resistant - rated IP65/68 - but resistance is emphasized so I can only assume that this will only work reliably against light water exposure such as spilling a cup of water on the phone. For the Xperia X, it appears to share almost everything with the Xperia XZ, but with a different “loop design” and a 4.6” 720p Triluminos display. Instead of a Snapdragon 820 SoC we’re looking at a Snapdragon 650 SoC which makes sense when considering that it’s the Xperia X Compact rather than the Xperia XZ Compact or something similar. Both devices also support Qnovo’s adaptive charge system which helps to reduce the impact on battery lifespan that fast charging mechanisms often have. 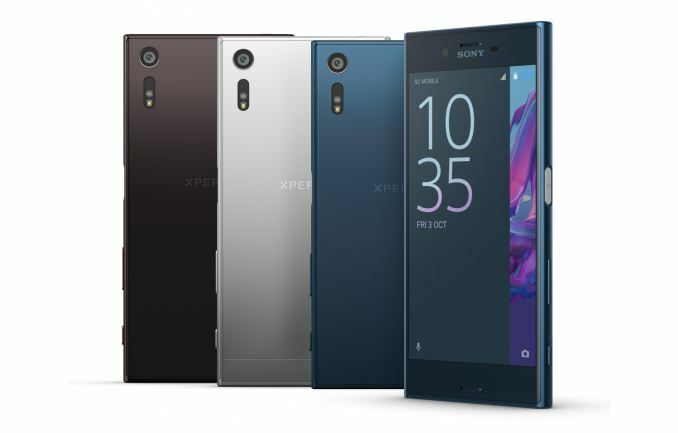 The Xperia XZ will be available in the US starting October 23, 2016 in Forest Blue, Mineral Black, and Platinum. The Xperia X Compact will be available in the US starting September 25, 2016 in Mist Blue, Universal Black, and White. The Xperia XZ will include a USB-C fast charger in the box as well. Operators and retail partners aren’t announced but it’s likely that GSM operators will be supported at the very least. Yep. Sad T-Mobile Z3 owner here. Sony has zero regard for the US market so official updates are pretty much out of the question for carrier-locked phones. Not only that, my digitizer failed after 1.5 years and Sony has backed off their waterproof advertising because so many customers have phones with water damage, especially people who don't use a magnetic charging dock because the USB flaps fail easily after persistent use. Granted, my USB flaps are in great shape because I use a dock but that didn't save my digitizer in any case. Apparently the X Compact isn't water-resistant at all. Very disappointing. And disappointing to see the processor / gpu get downgraded relative to the XZ. Though it's not clear to me how the Snapdragon 650 compares against a Snapdragon 810, and it does have more RAM.